We had such a good time that I plan on doing it for a few more folks before State of Man hits the road, so if you are in Atlanta and need to give someone a special surpise, hit me up at john //at// johnstringerinc.com and I’ll see if I can help. 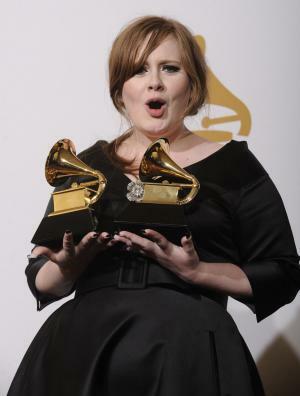 Adele: Am I the only person that found out about her via the 51st Grammys? Before the 51st Annual Grammy Awards ceremony this year, I’d never heard of the 20 year old, British (now two time Grammy winner) artist Adele. Naturally, I’m curious as to how many of you knew of her before the Grammys and how you found out about her. Did you find out about her on radio in your city? Did you find out about her from a friend? I’m curious about this primarily because TODAY, I finally listened to her music and was moved to tears. I am AMAZED that I’m just now HEARING this! OK… for those that have not heard her, please don’t let my reaction cause you to over expect. As we all know, beauty is in the eye of the beholder, and in this case, in the ear! With so much talent and soul coming from a British female artist, and the fact the she won best new artist of the year, I couldn’t help but think of Amy Winehouse and hope Adele’s personal life goes much smoother. Laughter: good for the soul!